Going back to the Olmecs, Mexicans have always had great astronomers. 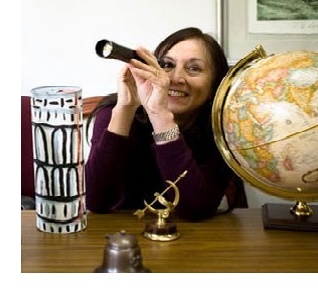 Silvia Torres Pembert, an expert on the “stuff” within the stars (specifically, the helium composition of nebulae) is the first Latin American woman to preside over the International Astronomical Union. 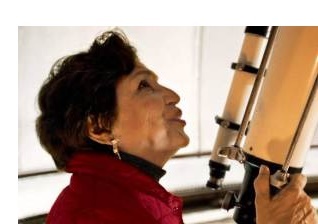 Julieta Fierro Grossmann, also a UNAM astronomer, like Dr. Torres, has been highly critical of the under-funding of basic scientific research within Mexico, but Fierro… while not well known outside the country … has — when not peering through a telescope — been searching for innovative ways to bring more science education to the public. As “Agenta Julieta” the 67 year old academic has become the star of a children’s program “Sofía Luna, agente especial” produced by Canal Onze. Dr. Fierro lectures throughout the country, exorting young women to take up scientific careers, and — like Dr. Torres, lobbying for more educational and research funds for Mexican universities.